This adorable hat will cause panda-monium wherever you go! 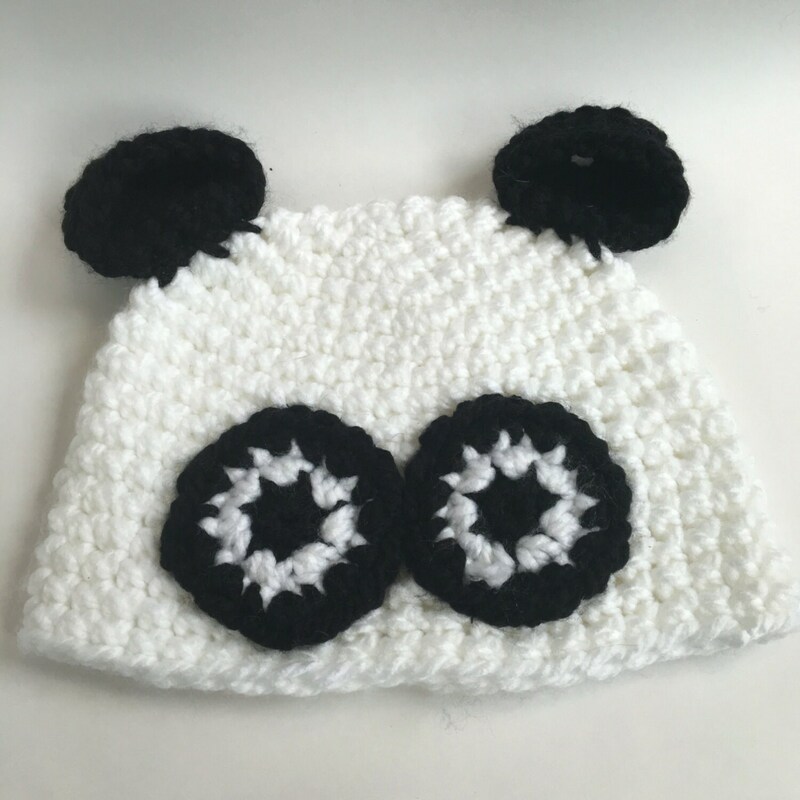 This fierce and adorable baby hat is made with soft acrylic yarn. Please specify the size of the hat with your order and allow one week before shipping. If you need it sooner, let me know because I have many already in stock. I purchased two fox hats for my 10 month old twin boys. The quality was great and they looked adorable in them! We couldn't make it down the street without being stopped at least a few times for compliments on our new hats! Because they are growing so fast, we will probably purchase bigger ones next winter. LOVE! Very high quality and quick turnaround. Thank you! I received my greyhound hat a couple of days ago. While it has finally warmed up here in Michigan and I have not had a chance to wear it, I'm looking forward to wearing it next winter. The quality is excellent and it is super cute. I accept PayPal and I ship as soon as the hat is ready and payment received. If you are unsatisfied with your hat, please contact me and I will do everything I can to help you.